Installation is just another great service that we offer here at B&G sheds! We have many crews with differing sizes and levels of qualification. Many of our building contractors have been installing B&G Sheds buildings excess of 20 years! All of our installers are licensed for Class 10a buildings. We use building methods are endorsed by Bluescope, which means that we maintain the warranty that comes with all of our Zincalume and Colorbond materials. They are fast, reliable and very careful in putting up your B&G Shed and will ensure that the job is done precisely right! As well as being great value and no fuss, any installation carried out by one of our qualified building contractors, carries a 12 month warranty. 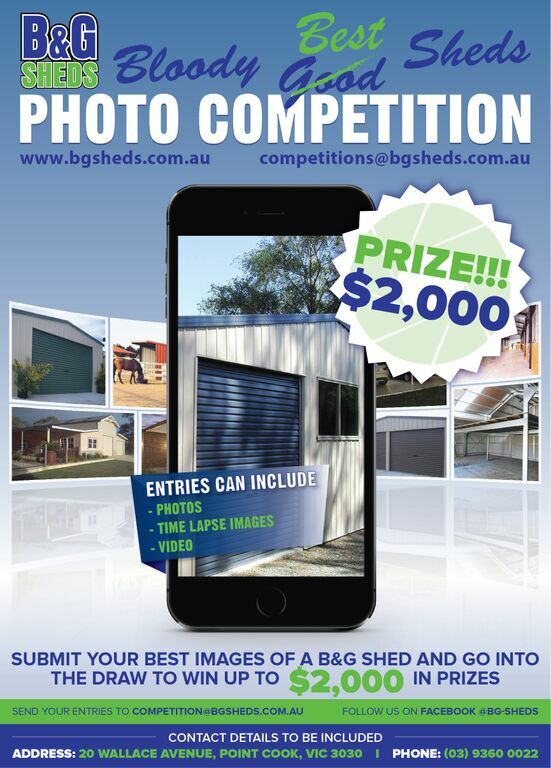 Some of our clients here at B&G sheds choose to erect their own sheds- which is great! But please be aware that it will take at least twice as long as our professionals take, so make sure you have a bit of spare time up your sleeve!